By Laura, Member of Tooting WI. Hot on the heels of International Women’s Day, we were thrilled to host 50:50 Parliament for an informative and inspiring March meeting. In the 100th anniversary year of the female right to vote it couldn’t be more relevant that while the quest for gender equality has come so far, it is not yet over. The Conservative Women’s Organisation Ask Her To Stand! By Fleur Butler CWO Yorkshire. The Conservative women’s annual conference in Leicester this year was open to all women irrespective of party and the theme was #AskHerToStand (with thanks to 50:50 Parliament). The room was full of politically engaged and inspirational women. By Kelly Grehan. Spurred on by International Women’s Day on Thursday a group of us from Dartford CLP headed down to Canterbury for this event. 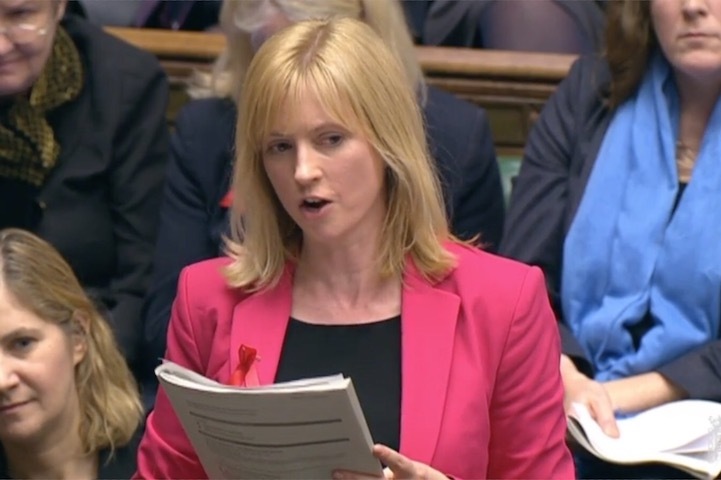 Since becoming Kent’s only Labour MP last June, Rosie Duffield has become the pride of the Labour Party movement throughout Kent, with all of us feeling that she is ‘our Rosie’ . 50:50 VOICE – our new ezine is LAUNCHED! Thanks for joining 50:50. Let’s build a better democracy together! Where to begin? There he was, in a blue suit with exotic tie, the Right Rolling-Tongued and Twinkling-Eyed Honourable Mr John Bercow MP and Speaker of the House of Commons. His subject was that of parliamentary reform, a subject dear to his heart. 50:50 Parliament with Rosie Duffield MP In Parliament To #AskHerToStand! Women’s March London was inspirational! 100,000 people shutting London down in solidarity with women worldwide! And 50:50 Parliament was there. If we had 50:50 parliament would we still be waiting on this law to help end violence against women?